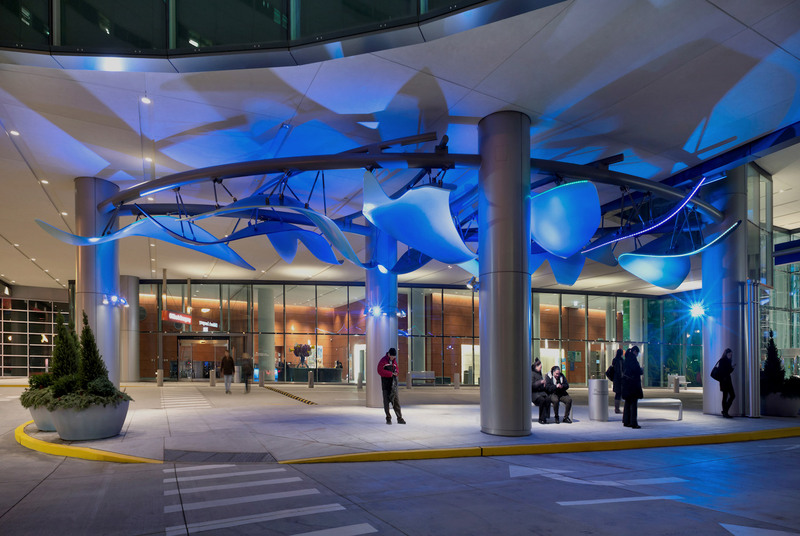 Inspired by Alexander Calder, sculptor Mark Davis created this breathtaking piece, his largest installation, to help instill a sense of calm in those approaching the hospital. The size and location of the sculpture required a level of collaboration that Davis was not accustomed to. 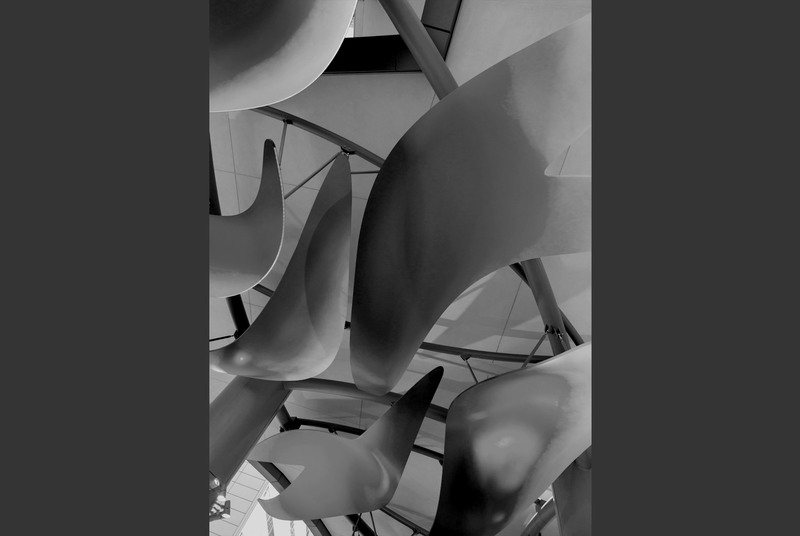 Structural steel and carbon fiber composites, both foreign materials to the sculptor were required to realize his vision. 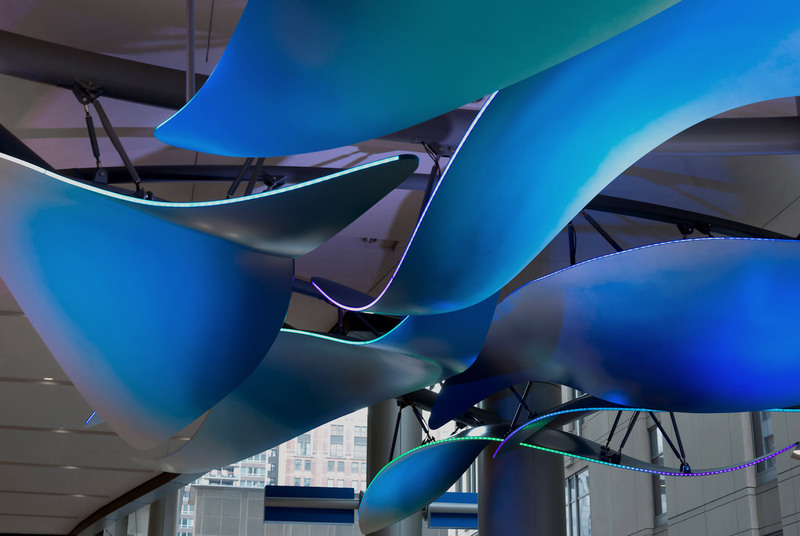 Integrated computer controlled LED lighting completes the soothing effect of virtual waves.